Go to this link to register. You can sign up with any email address or register directly with your Google, Clever or Microsoft accounts. You can then immediately start creating or add a teacher to your account. Click on the profile menu and select "My teachers" where you can insert the code provided by your teacher. If your teacher invited you through Google Classroom or Clever, you will have automatically be linked to your teacher. Please note that you can add as many teachers as you wish! 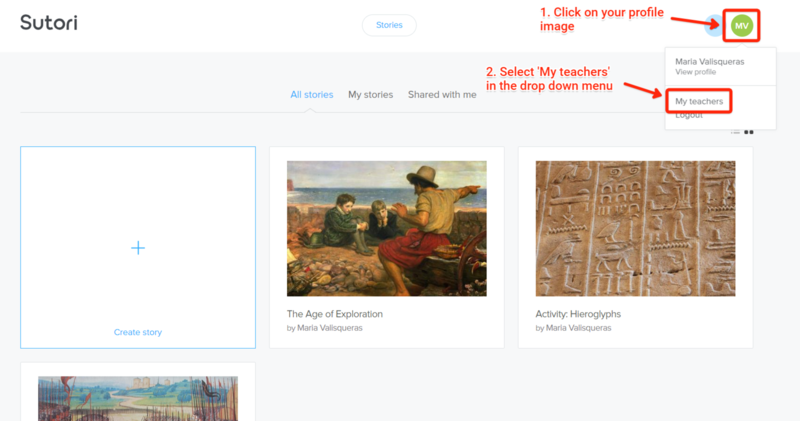 When you add a teacher, she/he will automatically be able to access and comment on your work.